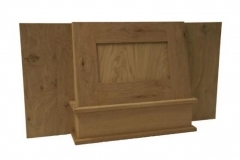 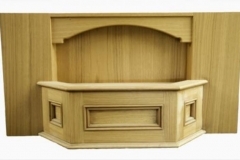 We have a wide range of kitchen and Bedroom units ranging from curved and angled. Choose from a range of clever storage solutions that work perfectly in any kitchen or Bedroom. 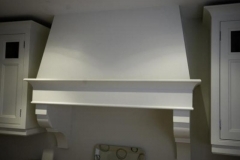 Painted Mantle Canopy with walnut trim. 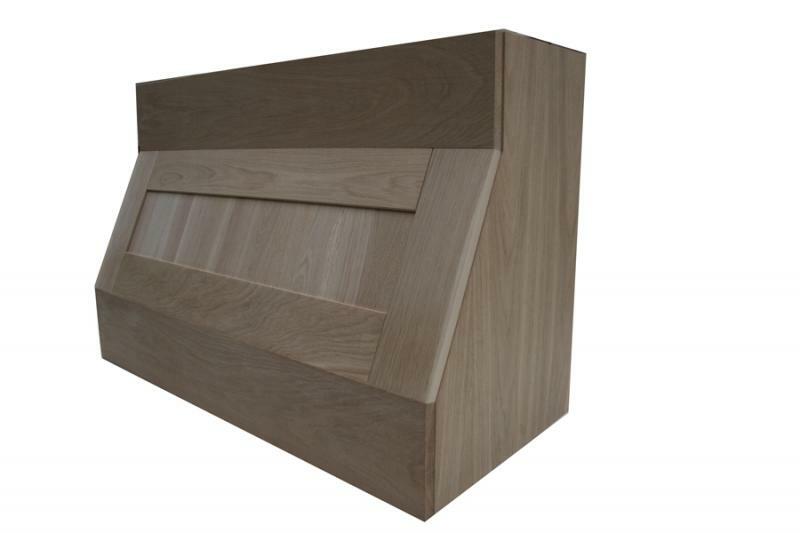 This type of canopy can be made various sizes and wood finishes. 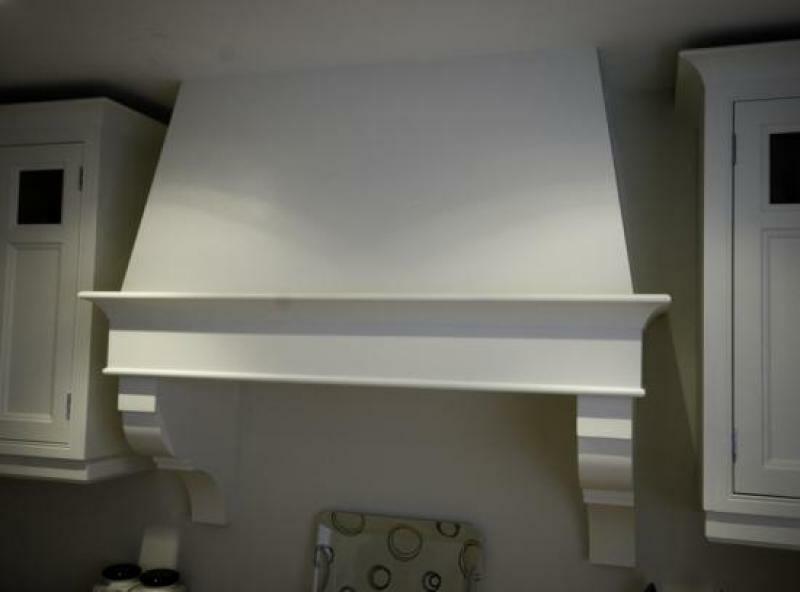 This customers canopy has been made from a door of the original kitchen. 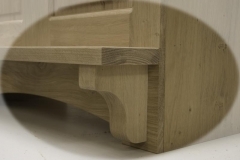 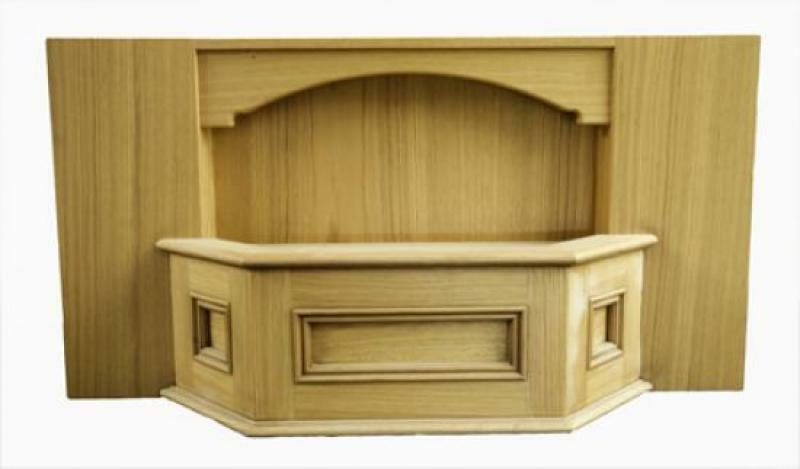 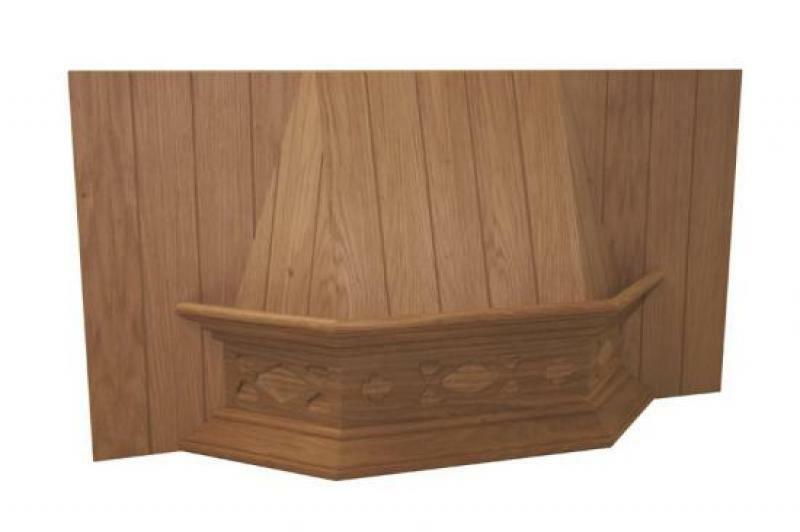 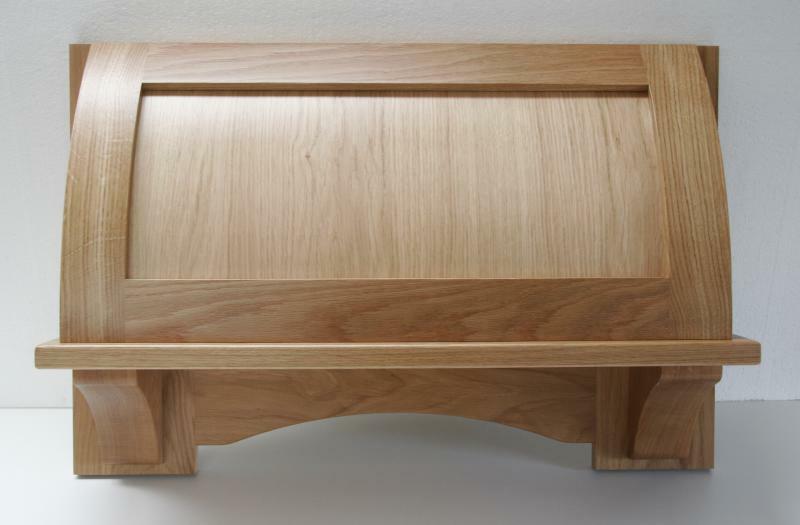 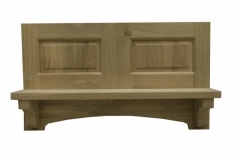 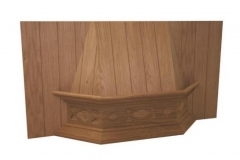 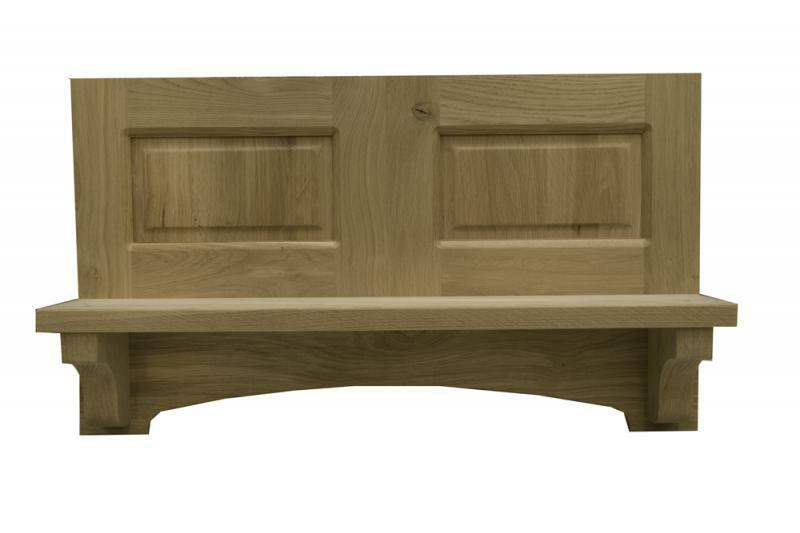 This curved front canopy is made from solid oak. 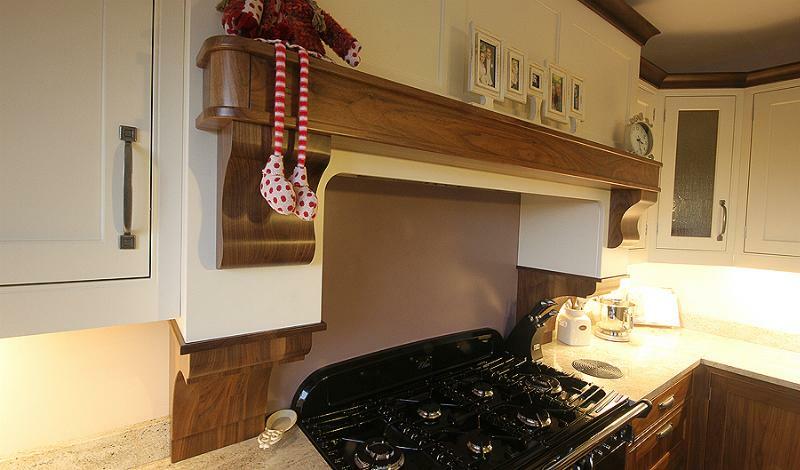 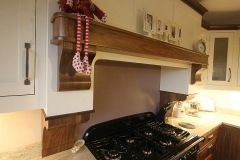 Other timbers available include Character Oak, Maple, Walnut and Tulipwood primed.